Many are the afflictions of the righteous. How many times, have WE complained about something??? How many TIMES have we FOUGHT for our OWN way. As IF, God did not or does not KNOW ALL, that’s how we act. BUT, THAT is a LIE. GOD IS SOVEREIGN. This means there is nothing, that takes place, or is planned, that He is not privy to. When conflict gets out of HAND it usually has simple reason why. The reason why is, that OUR idea or picture, is superseding HIS. Just a few days ago, He spoke this title to me. In my spirit, I thought, “THIS is gonna be good.” But, my flesh, sure has been fighting the process, it seems. But God. Let’s look at the definition of AFFLICTION. An affliction makes you suffer, but you have to deal with it anyway. Diseases are often said to be afflictions, but the word can mean just about anything that causes great suffering. The Lord, a Provider and the One Who Rescues Me. A Psalm of David; when he pretended to be insane before Abimelech, who drove him out, and he went away. Their faces will never blush in shame or confusion. And saved him from all his troubles. And He rescues [each of] them. How blessed [fortunate, prosperous, and favored by God] is the man who takes refuge in Him. But they who seek the Lord will not lack any good thing. I will teach you to fear the Lord [with awe-inspired reverence and worship Him with obedience]. And rescues them from all their distress and troubles. And those who hate the righteous will be held guilty and will be condemned. Okay, NOW we will discuss how AFFLICTIONS and TIME collide. If an affliction, is something that creates suffering, and time is a period or unit of measure, then how do they work together? Well, when we focus on OUR time, which is froma place of pride, most often, WE open the doors for MORE afflictions to come. For example, if God leads us into a dark place, to be a light, but it is not happy. Not only that, it feels borderline tormenting and torturous. Especially, if IT is a plce we ventured out of before, and must now FACE the Giants. You see, the promised land has giants, but giants can also be formed from OLD thought patterns too, or by us. This has been stated b4. This post was originally made, in December, on the 17th, the year 2015. The self is the worst. In our affliction with time, we often rehearse the pain. Like a performance, or such. It can be too much, for those nearby. Yet, angels anre sent to assist. You may not recognize. In fact, NEVER without HIS eyes. A few days ago, in fact, maybe even weeks ago, this came to me. I thought, how do I write about this? So, I took some time, and just sought God for answers. What I believe He revealed is simple. Heaven’s Bootcamp, is the LIFE of Jesus. Let’s look at the definition of bootcamp. : a disciplinary facility or program in which young offenders are forced to participate in a rigidly structured routine. The world defines it, in this way. Scripture defines it, a tad different. 6 Children, obey your parents in the Lord [that is, accept their guidance and discipline as His representatives], for this is right [for obedience teaches wisdom and self-discipline]. 2 Honor [esteem, value as precious] your father and your mother [and be respectful to them]—this is the first commandment with a promise— 3 so that it may be well with you, and that you may have a long life on the earth. 4 Fathers, do not provoke your children to anger [do not exasperate them to the point of resentment with demands that are trivial or unreasonable or humiliating or abusive; nor by showing favoritism or indifference to any of them], but bring them up [tenderly, with lovingkindness] in the discipline and instruction of the Lord. 5 [a]Slaves, be obedient to those who are your earthly masters, with respect for authority, and with a sincere heart [seeking to please them], as [service] to Christ— 6 not in the way of eye-service [working only when someone is watching you and only] to please men, but as slaves of Christ, doing the will of God from your heart; 7 rendering service with goodwill, as to the Lord, and not [only] to men, 8 knowing that whatever good thing each one does, he will receive this back from the Lord, whether [he is] slave or free. 9 You masters, do the same [showing goodwill] toward them, and give up threatening and abusive words, knowing that [He who is] both their true Master and yours is in heaven, and that there is no partiality with Him [regardless of one’s earthly status]. 10 In conclusion, be strong in the Lord [draw your strength from Him and be empowered through your union with Him] and in the power of His [boundless] might. 11 Put on the full armor of God [for His precepts are like the splendid armor of a heavily-armed soldier], so that you may be able to [successfully] stand up against all the schemes and the strategies and the deceits of the devil. 12 For our struggle is not against flesh and blood [contending only with physical opponents], but against the rulers, against the powers, against the world forces of this [present] darkness, against the spiritual forces of wickedness in the heavenly (supernatural) places. 13 Therefore, put on the complete armor of God, so that you will be able to [successfully] resist andstand your ground in the evil day [of danger], and having done everything [that the crisis demands], to stand firm [in your place, fully prepared, immovable, victorious]. 14 So stand firm and hold your ground, having [b]tightened the wide band of truth (personal integrity, moral courage) around your waist andhaving put on the breastplate of righteousness (an upright heart), 15 and having[c]strapped on your feet the gospel of peace in preparation [to face the enemy with firm-footed stability and the readiness produced by the good news]. 16 Above all, lift up the [protective] [d]shield of faith with which you can extinguish all the flaming arrows of the evil one. 17 And take the helmet of salvation, and the sword of the Spirit, which is the Word of God. 18 With all prayer and petition pray [with specific requests] at all times [on every occasion and in every season] in the Spirit, and with this in view, stay alert with all perseverance and petition [interceding in prayer] for all [e]God’s people. 19 And pray for me, that words may be given to me when I open my mouth, to proclaim boldly the mystery of the good news [of salvation], 20 for which I am an ambassador in chains. And pray that in proclaiming it I may speak boldly and courageously, as I should. 21 Now, so that you may know how I am and what I am doing, Tychicus, the beloved brother and faithful minister in the Lord, will tell you everything. 22 I have sent him to you for this very purpose, so that you may know how we are, and that he may comfort and encourage and strengthen your hearts. 23 Peace be to the [f]brothers and sisters, and love joined with faith, from God the Father and the Lord Jesus Christ. 24 Grace be with all who love our Lord Jesus Christ with undying and incorruptible love. I believe MANY of us come in destined to choose JESUS. In my case, the bootcamp intensified a few times for me. The most obvious time, was when Sarah was born. I had delivered to me, a piece of my HOME. Not just a baby, but a super baby, through JESUS. This sweet angel, I just had no idea. In fact, WE had no idea, just what her LIFE meant to God, and means to God. Even though her journey, is quite different than ours, we choose to see the parallels, and HIS Love in process. So, back to boot camp….It got even more vigorous when I got married. Specifically, when my husband and I got married, our life went from incomplete, to complete. Yet there was a struggle to THRIVE. In boot camp of the world, it is highly structured. 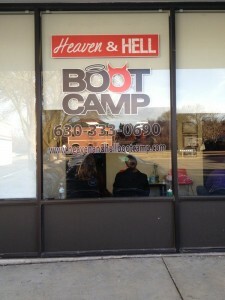 When going through Heaven’s bootcamp, it is a bit alternative. Because, the book is LOVE. That is the instruction book. You know what the book is? His word. I have had people tell me, there is some horrific stuff in scripture. I agree. There IS. However, there is WAY more beautiful, than anything. My husband and I made a vow to God. We made this vow, and covenant when we married, but also when Sarah was 3 1/2. I will NEVER forget the day, he and I were sitting on our bed. A place, where much damage had been done, in our lives. Yet, we sat there, and cried out to God. WE really begged HIM to help us be the BEST examples we could be. We laid down our desires, any pride, negative emotions, all in honor of JESUS. Even before we knew what that meant, we asked the GLORY to shine. Thank God for the Grace to beg for help. Jesus does not want us to stay beggars. But, He meets us, when we are there. It is ONE of the reasons we have so much passion for widows and orphans. Because we ARE them. ANy of us, could be or has been LOST. So, why should we overlook the pain? Is THAT Jesus? Look at HIS LIFE. He stopped to help ANY that desired HIS LOVE. So many are so very focused on the laws of things, that they neglect the LOVE. 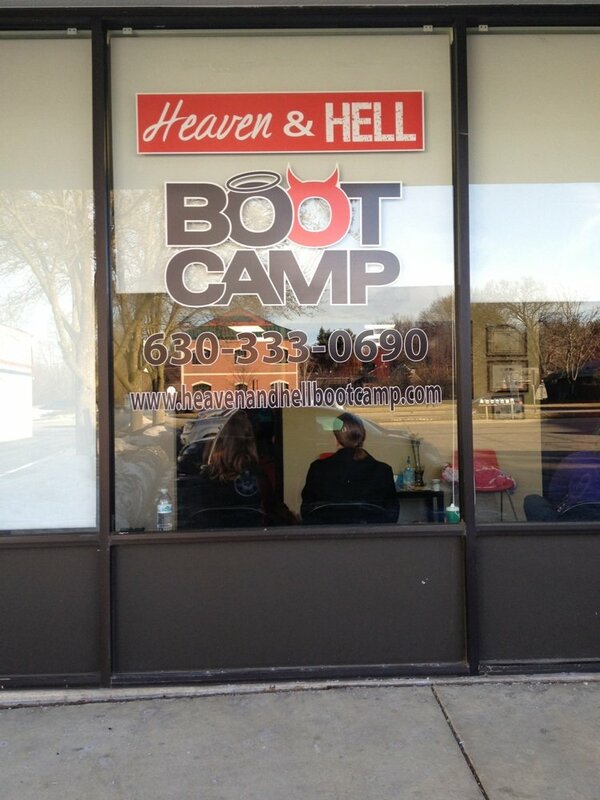 Our bootcamp was a place that, to be honest was not VERY joyful, most of the time. When we did laugh, it was often followed by a flood of tears, of anger. Dear LORD, we were so broken. I will tell you, that we did NOT do everything right. But, JESUS did. When we messed up, and at first, that was a lot, we would come to God. Often, we would just be weeping, or wailing. We would repent for any influence that displeased HIM. We condemned ourselves, and then were in many ways, the enemy’s greatest tool. In doing this, we indirectly rejected His LOVE. Not that this was on purpose, or even made known to us then, but it was rejection. We were living life on purpose, going to church, and doing our best to be our best. Do you notice something here? I did not say, we were enjoying life. I believe there were remnants of heaven. But, WE were so broken, my husband and I, that we were constantly fighting to exist. Yet, it says we fight not flesh and blood. So, why were we? Have you experienced this? We were striving. It fact, we were constantly doing this. We had 3 properties, a business, and we were really JUST drowning. You know why? Because GOD had to show us, that HE is our way out. That, when we get done, beating our heads against the wall, HE would and will be there. The truth is, that WE all are prodigal kids. WE were given a portion of our inheritance. We did not waste it, or squander it. Yet, God permitted the enemy to buffet us. He allowed them to steal from the holy spoils. Why? Because, our JOB was then and NOW, to forgive. We never own anything, ALL belongs to God. So, why is it, that when something threatens, what we steward, we get offended? Because, the world looks for a fight. We had to learn to let JESUS do the fighting. He gave us Grace to investigate the evils. We learned a lot. But, what we learned the most, was is HIS camp, HE wins. Meaning, NO matter what it looks like, HIS camp is always going to celebrate. 🙂 That does NOT mean it will always feel good to our flesh. In fact, a lot of times, it does NOT. BUT, it does to our spirit. For, the JOY of the LORD is our strength, and indeed HIS Grace IS sufficient for us. I personally, have obviously been in HIS bootcamp for almost 11 years. At least in a way that is obvious to me. 😉 BUT, I am growing and learning to SEE, that it begins when we first breathe, earth’s air. When David and I were joined, from the Heaven’s to earth, we fairly quickly, began to encounter Heaven. But, it sure felt like HELL on earth. WE have had MANY seasons together, and I know will endure and experience many more. I have no doubt that my husband was made for me, and I for him. At least NOW, I know and having the knowledge of Heaven, dispels, the LIES. I know many who are struggling with the questions of Life. I call them, the whys, whats and huhs. Because, in the beginning when God is establishing residency, and LOVE and showing HIS loyalty, WE are given such GRACE to ask questions. In fact, I learn NEST that way. What about you? It took me a bit, to finish this entry. Because, whenever God has us share, indivisually, or corporately, it is for one reason. HIS LOVE needs to be poured out. He does THAT in so many ways. That should say individually, but both are true. 😉 I have been in the other camp, thankfully, not in a way that I was openly choosing evil, on purpose. Most often, I was captivated, or pulled into a snare. I know my destiny. It is to, by FAITH, serve the ONE that made me. Ask the Lord to reveal to you, MORE about HIS word. It is a smorgasbord of HIS LOVE and our HOME.